Buddhism appears to be very dominant in some countries in Southeast Asia. However, many Buddhists there always regard “Arhat” as the highest status of accomplishment in Buddhism. To them, Bodhisattvas who are often mentioned in Mahayana sutras such as Manjushri Bodhisattva and Kuan Yin Bodhisattva are simply not comparable to Arhats. That is why during the past thousands of years Mahayana Buddhism has never been able to propagate and spread widely in those regions. Of course, such a situation is due to karmic conditions of the living beings. I am going to talk about a couple living in Thailand with family roots there for generations. The husband’s last name is Deng and the wife’s last name is Wang. Due to their hard working, honesty, and leading a plain and simple family life, they have long become well-known people with prominent fame in the business circle in Thailand. Meanwhile, they respectfully worship the Three Jewels, support the sangha, and engage in charities. Therefore, they are also praised by everyone as great and kind benefactors in the community. 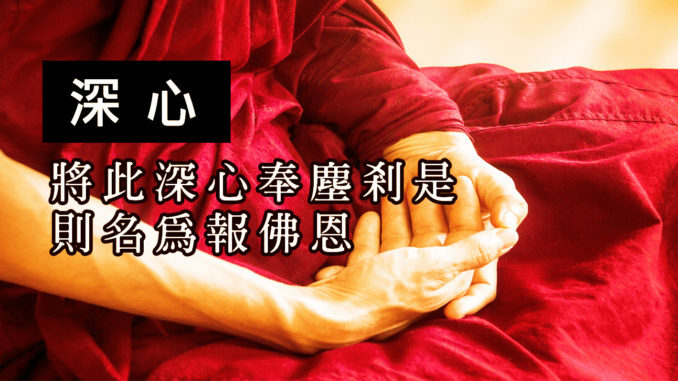 Though they possess deep root of kindness, due to the influence from some deviated views in the tradition of the Lessor Vehicle, they were unable to elevate their level of cultivation to enter deeply into the essence of the dharma principles contained in Mahayana. It was only until one day in 2004 when the karmic condition of their good fortune became mature. On that day, they were introduced by their friend to an opportunity of listening respectfully to the recorded dharma discourses expounded by H.H. Dorje Chang Buddha III. Only at that time, did they greatly awaken to the fact that true Buddha-dharma is so extensive, broad, precious, and profound. Time elapsed day by day. Long after that, they figured that H.H. Dorje Chang Buddha III had forgotten what they had asked for long ago and thus dared not mention it again. Furthermore, what if Bodhisattvas did not come even when invited? Later, they had a chat with several fellow brothers who are rinpoches one day. Only then did they learn that the house that H.H. Dorje Chang Buddha III was living in was badly out of repair. Even the office space was just a small space next to a restroom and narrow stairs. Furthermore, the office desk was actually a very small table! They were greatly astounded after hearing the brothers’ descriptions! What was even more implausible to them was the fact that H.H. 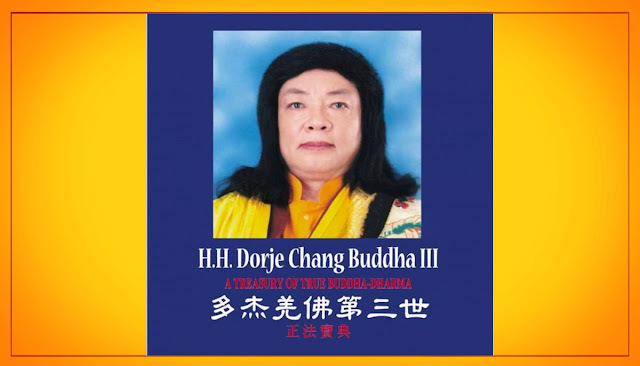 Dorje Chang Buddha III worked with His own hands to create artworks, not only to make the living but also help His disciples with their resources of cultivationas well as contribute to disaster relief efforts and benefit people. Although they begged very hard and repeatedly, H.H. Dorje Chang Buddha III was not persuaded at all and firmly refused to accept even a penny from that offering. Without any other choice, they could only transfer that stock holding entirely to the World Buddhism Association Headquarters. H.H. Dorje Chang Buddha III was to determine their karmic conditions. Observing their piousness toward their Master, diligent cultivation and practice, and selflessly benefiting living beings, they truly have established undeniable merit of Bodhi. Therefore, His Holiness the Buddha decided to fulfill the wish they had for many years. On the magnificent and auspicious day when His Holiness the Buddha was going to transmit the inner-tantric initiation, Laypersons Mr. and Mrs. Deng came to the open-air mandala at the holy site. The sky was completely clear without any cloud on that day. With beautiful green lawn, breeze blowing from time to time, singing and winging of bees and birds in the background, varieties of flowers contesting for beauty, and charming and attractive branches and shoots in the trees, the whole court was covered with splendid colors in addition to jade green. Shortly after the discourse, H.H. Dorje Chang Buddha III immediately practiced the dharma. In less than 20 minutes, suddenly a beam of golden light flashed in the sky above. Next, countless light rays were emitted. A Vajra Bodhisattva with a height of about 16 feet suddenly appeared. The Bodhisattva was adorned with pearls necklace and looked extremely solemn and majestic, stepping on a lotus flower shape auspicious clouds of rainbow colors. 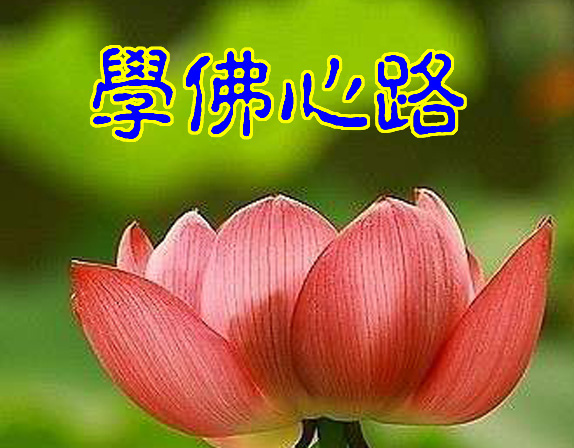 In a few strides, the Bodhisattva descended into the mandala, standing in front of Mr. Deng and Mrs. Wang with a smile. While they two were still stunned and astounded, the Bodhisattva took out the holy substance to empower them. With a finger snap, a five-colored light ray flew into the mouth of each of them. The taste was utmost delicious without comparison. They both felt relaxed and uninhibited throughout the body. An auspicious state manifested over the entire mandala at the holy site. Only then did the Vajra Bodhisattva merge into the brightness in the sky and disappear. While everyone was still deeply enjoying the dharma joy and calming lightness occurring just moments ago, Mr. and Mrs. Deng excitedly described the personal feelings and experience that just happened to them, with hand gestures as they spoke. They two were extremely moved and bowed repeatedly to H.H. Dorje Chang Buddha III. They saw a Bodhisattva! They truly saw a real Bodhisattva descending before them to meet with them! This is not a dream state and much less an illusory image. Though several years have passed, what really made us awaken is: Then, who is the Master who is living right before us and whom we follow closely to learn from? Good heavens! Have you forgotten? He is the supreme teacher of Bodhisattvas and Mahasattvas in the ten directions and even of all Buddhas! He is really the genuine incarnation of the holiest ancient Buddha in the dharma realm – Dorje Chang Buddha! How fortunate living beings in the current dharma-ending era are to be able to meet this opportunity of H.H. Dorje Chang Buddha III descending to this earthly world. This is the great matter indicating the maturing of good fortune stemming from the karmic conditions since the beginning-less time. I sincerely, wholeheartedly, and eagerly hope that sentient beings in the six realms of the three spheres can all hear the dharma expounded by H.H. Dorje Chang Buddha III, to attain in the current lifetime perfect good fortune and wisdom, freedom from birth and death, holy status of liberation, and realization of great enlightenment! Namo H.H. Dorje Chang Buddha III! 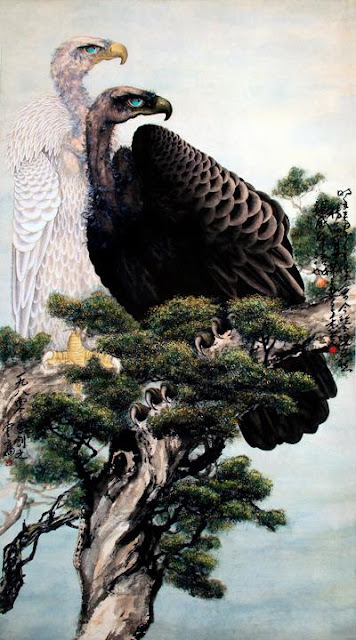 This work was painted in the ‘Kuangxi’ style, meaning “bold and intricate”. A pair of vultures was realistically painted using fine brushwork. In contrast, the strokes in the trunk of the tree are painted in bold strokes. International Art Museum of America.